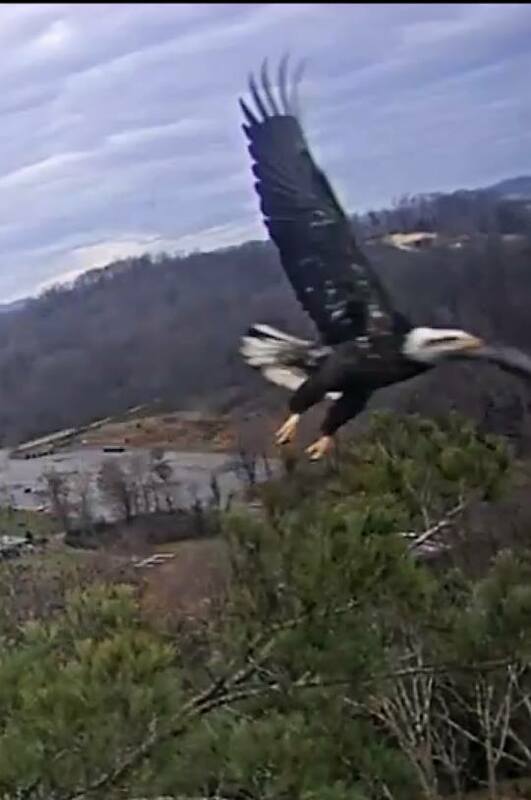 East Tennessee State University has eagle cams at two locations - Johnson City (JC) and Bluff City (BC) - and I'm going to try combining both locations in a single thread, so please note which nest when you post observations. Both cams were set up in November 2015 by the Department of Biological Sciences. 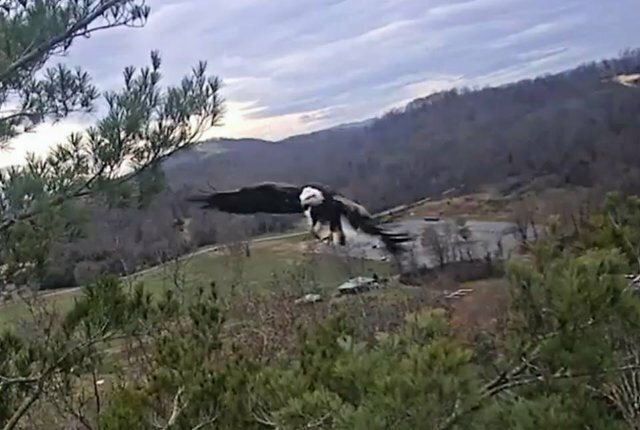 According to the ETSU Eagle Cams Facebook group, The ETSU Johnson City nest is located on private property on Boone Lake in Johnson City, TN. 2016 (their first year on cam) was the 4th year this pair of bald eagles has nested at this site. 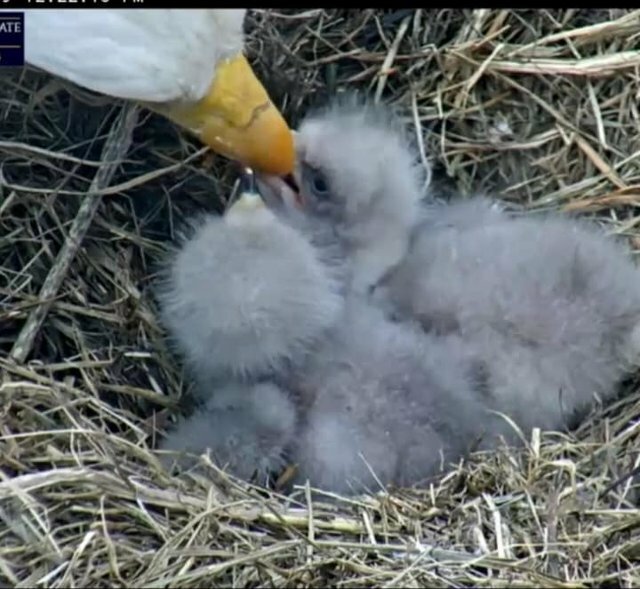 In the past, they have successfully fledged 2 eaglets each year. The female has distinctive dark tail feather markers that help with identification. The pair laid two eggs in 2016, one hatched, and JC7 fledged successfully. They again laid two eggs in 2017, both hatched, and JC8 and JC9 fledged successfully. Adults named Noshi (M) and Shima (F) (father and mother in Algonquin). 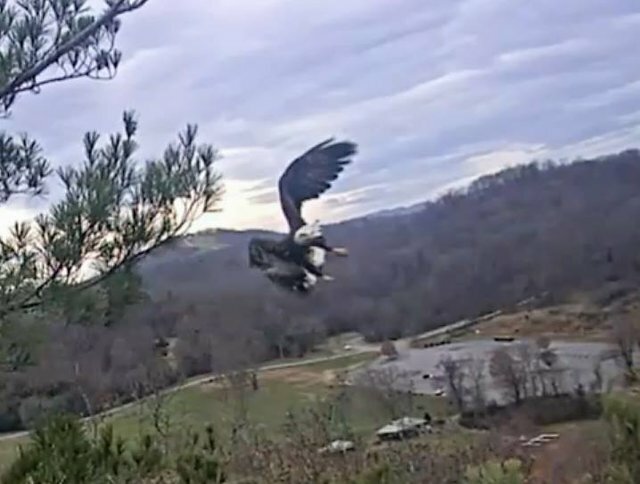 Thanks to East Tennessee State University for providing this lovely cam! Adults are named Eugene (M) and Frances (F) "after the wonderful property owners." 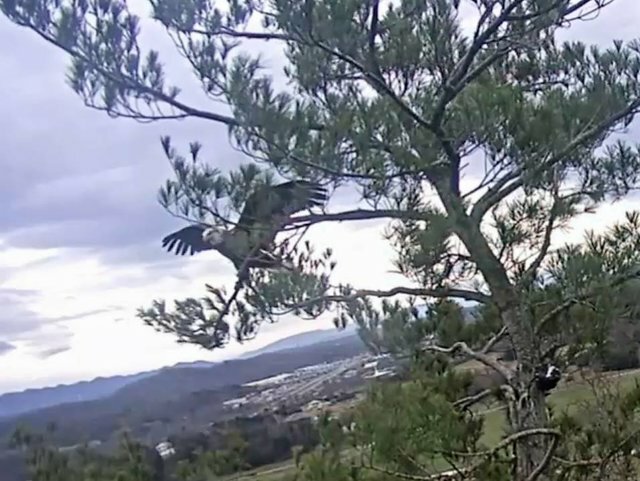 According to the ETSU Eagle Cams Facebook group, "The ETSU Bluff City Nest is located on private property along South Holston River. 2016 was the 5th year this pair of Bald Eagles has nested here." They laid two eggs in 2016, one hatched and BC9 fledged successfully. They again laid two eggs in 2017, both hatched, and BC10 and BC11 fledged successfully. East Tennessee State University reported the following in November 2017: "Raccoons were in the Bluff City nest and by the time the department was able to put up baffle to deter the raccoons it was too late. 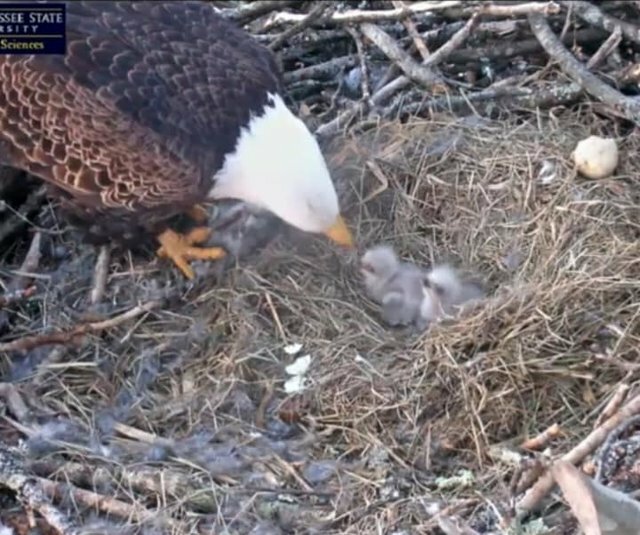 The eagles started another nest and abandoned the original site. The new homeowners have been contacted and cameras will be added in the summer 2018. The department is hopeful a red-tailed hawk or great horned owl will take over the nest." Trudi Kron posted this lovely screenshot of Noshi and Shima and their three eggs on Facebook and gave me permission to share it here; it's from February 9. Hatched March 12, 13 and 16. JC12 is smaller, but was right there during the feeding, and all three had nice crops. 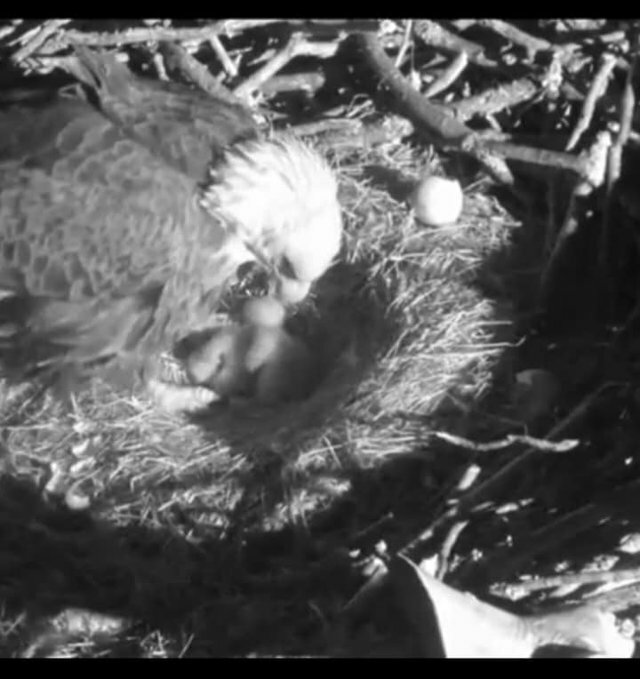 Apr 9, 2018 8:17 pm nest time. Three healthy looking chicks! Jockeying for that prime real estate for one under Mom! Last edited by Ferenz on Wed Dec 19, 2018 9:21 am, edited 1 time in total. Thank you, Ferenz, for letting us know that the eagles are back - and there will be a camera on Bluff City this year! Eugene brought in Frances a nice gift of rabbit this afternoon! He was feeling frisky and didn't even let her finish it before...well you know lol! Cant a girl eat first yet Eugene! Last edited by Ferenz on Tue Mar 12, 2019 2:09 pm, edited 1 time in total.